Bennet Omalu Pathology is a small-business corporation registered in the State of California since 2011 with offices in Sacramento, California, and in Stockton, California. We provide comprehensive pathology services to individuals, families, attorneys, hospitals, corporations, governmental agencies and organizations, local, state and federal governments across the United States. We also provide comprehensive medico-legal consultations and expert witness services across the United States and the world. Bennet Omalu Pathology was founded by a leading and eminent forensic pathologist and neuropathologist, Dr. Bennet Omalu, who identified a disease he called Chronic Traumatic Encephalopathy [CTE] in the brains of deceased athletes and military veterans; and received the “Distinguished Service Award” in 2016, which is the highest award of the American Medical Association. In December 2015, Sony Pictures produced and released a major Hollywood film titled “Concussion” on Bennet’s life and work. Will Smith played Dr. Omalu in the film. Bennet’s memoir “Truth Doesn’t Have a Side” was published in 2017 by Zondervan, HarperCollins. 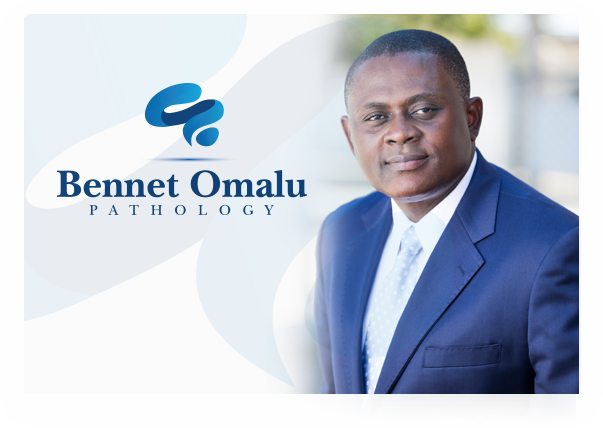 Dr. Bennet Omalu is the President and Medical Director of Bennet Omalu Pathology. If you may need Dr. Bennet Omalu’s curriculum vitae, please send us an e-mail at bennetomalu@bennetomalu.com.